The Amazon River, 4,000 miles (6,400 kilometers) long, and the second longest river in the world, flows from its origin in the Andes to its mouth in the Atlantic Ocean. Amazonia is the drainage basin of the river and its 1,100 tributaries, and stretches across nine countries, with 60 percent located in Brazil. This river basin is the largest in the world and encompasses 2.7 million square miles (7,000 square kilometers). The rainforest has been in existence some 55 million years, and its existence has been attributed to high annual rainfall and high humidity, and a high year-round temperature. Since the 1960s, the unique biodiversity of Amazonia has been threatened by deforestation, which has continued until the early years of this century when its rate slowed; some sources claim that one-fifth of the rainforest has been lost. In its place, forests have been cleared for their excellent hardwood timber and to provide pastureland for cattle and crop farms. Environmentalists have expressed alarm that the loss of the rainforest will have profound effects on its plant and animal inhabitants, known, and yet to be discovered; these include potential medicinal plants that have been used by indigenous healers for countless generations, which have yet to be critically evaluated for their effectiveness. Moreover, the rainforest serves as a major sink for carbon dioxide, which, if permitted to accumulate, will increase climate change, in particular, global warming. SEE ALSO: Land Plants (c. 450 Million BCE), Insects (c. 400 Million BCE), Seeds of Success (c. 350 Million BCE), Gymnosperms (c. 300 Million BCE), Angiosperms (c. 125 Million BCE), Plant-Derived Medicines (c. 60,000 BCE), Global Warming (1896), Green Revolution (1945). 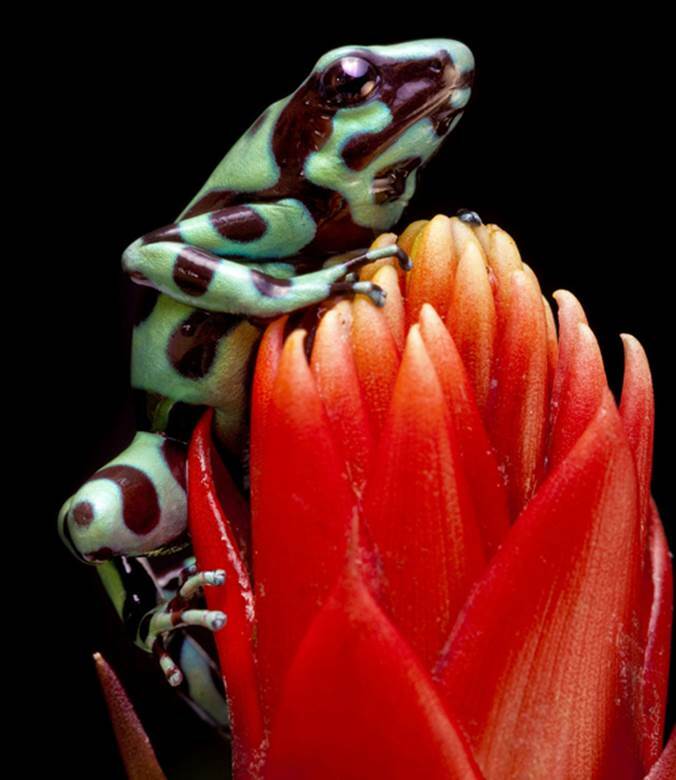 The poison dart frog is native to Central and South America, including the Amazon rainforest. Many of these frogs secrete an alkaloid poison through their skin that serves as a chemical defense against predators. Indigenous Amerindians have used these secretions to poison the tips of blowdarts.